I was pleased to have the honor to choose 4 favourite bags from the huge range of collection they had to offer to share with you guys! So here's the first on my list: Givenchy Antigona, "It Bag" of the past seasons (and still here to stay). 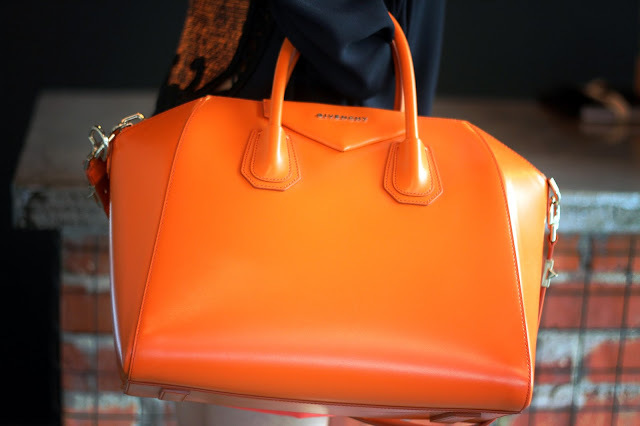 This was the first time I saw it in orange (instead of the regular black, or the occasionally croc skin!) What do you think? And more importantly, can you guess the next three bags I'm about to feature? Special thanks to: Gabrielle of Glam Pot! :) Thanks girl!